When we last wrote about the Saucony Shadows you guys told us how much you liked them. 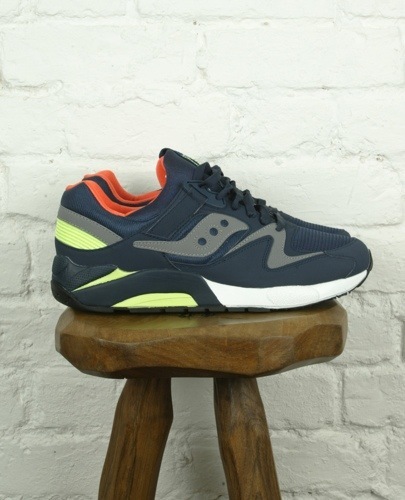 We had a look around The Buttery Store and we came across these grid 9000 Navy/Citron sneaks from Saucony. These sneaks catch the eye more so than the shadows and with the great design you will have a truly nice looking sneak in your wardrobe.